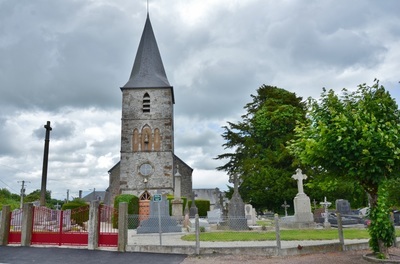 Chênedollé is a village and commune 31 miles (50 kilometres) south-west of Caen, 29 miles (47 kilometres) south of Bayeux, and 6 miles (10 kilometres) east of Vire, which is a sub-prefecture in the department of the Calvados. 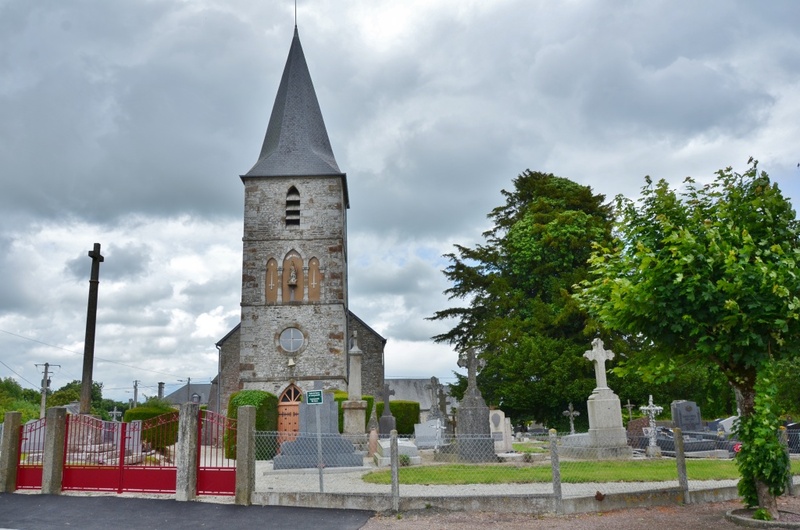 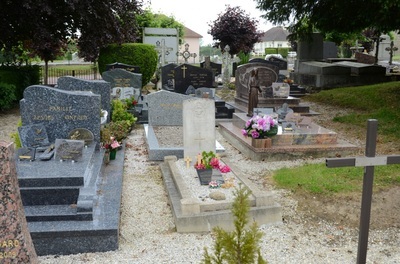 The village is 1 mile (2 kilometres) north of the N.812 road from Vire to Vassy. 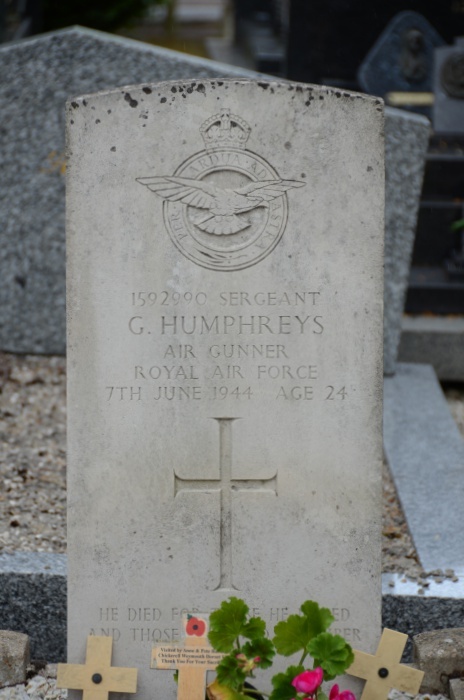 There is 1 Commonwealth burial of the 1939-1945 war here, 18 yards south of the church tower. 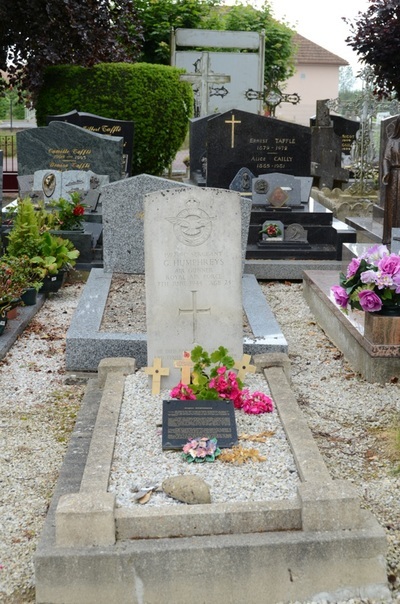 1592990 Sergeant Gordon Humphries, Air Gunner in 576 Squadron, Royal Air Force Volunteer Reserve, died 7th June 1944, aged 24. 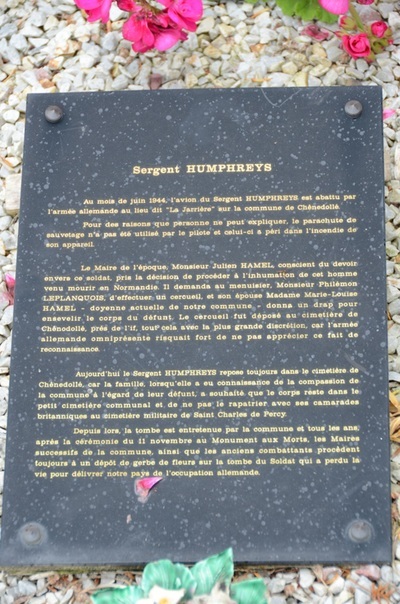 Son of Frederick and Annie Humphreys, of Sheffield; husband of Kathleen Laura Humphreys, of Chapeltown, Sheffield.